Lil Boosie ia a artist who has been producing behind the scenes for a little while now! 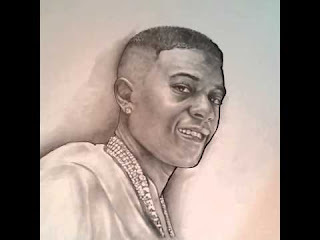 Torrence Hatch (born November 14, 1982), known professionally as Boosie Badazz (formerly known as Lil Boosie), is an American rapper from Baton Rouge, Louisiana. Boosie has a new lineup of young talented rappers he is presenting to the rap game. Take a look at some videos that's already hitting the visual world. Baby Soulja Feat. Boosie Badazz "Dirty"
One of my favorite video is with Baby Soulja. This is something I can relate too being from the south. B Will Feat. Boosie Badazz "Dem Hoes Gone Choose"
Rapper B Will's take Lil Boosie back to where he started with this video. Juicy Badazz Feat. Boosie Badazz "Stay On Your Hustle"
Boosie has a female rapper he is working with name "Juicy Badazz"